Do Vanity Numbers Really Work to Boost Sales? Yes, Studies Prove it! In today’s ultra competitive business world entrepreneurs need all the advantages they can get, and vanity phone and 800 numbers can be a powerful weapon. You may think that in today’s digital age your phone number is less important. You’d be wrong. Studies have shown that today’s consumers have a shorter attention span and memory capacity than ever. So you need a phone number that your customers will easily remember and remember to call you instead of your competitor. Who are you going to call when ordering flowers? 1-800-FLOWERS or 631-987-3456 Enough said. Free 30 Day Trial! Try FreedomVoice Toll-Free Number Service with the No Activation Fee. The case for vanity phone numbers has been proven by numerous industry statistics showing that call volume increased +33% for businesses with vanity phone numbers. Phone numbers that are easy to remember to keep those businesses phones ringing with increased call response rates for marketing campaigns and a more positive public image. One of the most successful legal marketing campaigns of 2017 used the vanity toll-free number 1-800-HURT-NOW. They are appealing to accident victims who need legal representation. This Ohio law firm rocketed from 20th in their industry to the top 3! They used creativity and customer-centric thinking to create the vanity phone number that resonated best with their prospective new clients. Get out of your own way and try to get into your customer’s mind when you’re creating your vanity phone number. This law firm could have done the expected such as 1-800-OHIOLAW and it would not be nearly as effective. An excellent example of vanity phone numbers for lawyers. Get out of your own head and try to get into your customer’s mind when you’re creating your vanity phone number. This law firm could have done the expected such as 1-800-OHIOLAW and it would not be nearly as effective. Toll-free numbers should be an integral part of your marketing strategy. In my video example below, I demonstrated how an exercise studio could order a vanity phone number that focused on the benefit of their service, not the company name. Instead of 1-877-BGYM, I selected 1-877-844-4FIT. Prospective gym members want the benefits of FIT more than they want to remember your company name. Do vanity phone numbers work? • the newspaper Chicago Tribune advertising survey discovered that companies using one 800 vanity numbers were getting 10X greater customer response than those ads with traditional telephone numbers. Get an 800 Number – Just $9.95! FreedomVoice, a GoDaddy owned company, makes it super easy to buy your 1-800 vanity phone number. 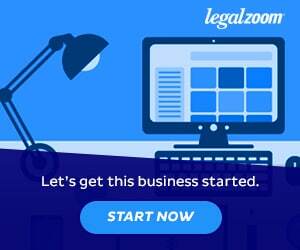 Click here and put in a keyword associated with your business, or a benefit to your customer that your business delivers. In seconds you will be given multiple choices of phone numbers, just click and pay a low price of under $10 per month, to start and you now have transformed your small business into a major industry player. Watch me order one below and see how easy it is. Click here and put in a keyword associated with your business, or a benefit to your customer that your business delivers. In seconds you will be given multiple choices of phone numbers, just click and pay a low price of under $10 per month, to start and you now have transformed your small business into a major industry player. Watch me order one below and see how easy it is. In seconds you will be given multiple choices of phone numbers, just click and pay a low price of under $10 per month, to start and you now have transformed your small business into a major industry player. Watch me order one below and see how easy it is. Just click to pay a low price of under $10 per month, to start and you now have transformed your small business into a major industry player. Watch me order one below and see how easy it is. Done you have just transformed your small business into a major industry player. Watch me order one below and see how easy it is. 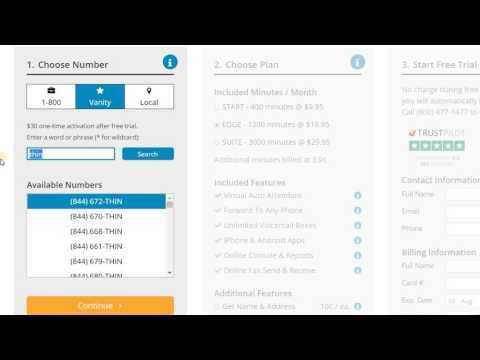 VIDEO: Watch me order a 1-800 vanity phone number and see how simple it is. 2. Product connection – clients connect one 800 vanity numbers with the product they want to buy. Thus a phone number connected to the object of their purchasing decision is their first choice of retailer. 3. Professionalism – consumers report that they associate superior customer services with those firms that have a 1-800 vanity phone number. They assume that there are experienced representatives waiting for their phone orders. 4. Geographic Coverage – buyers from across the country can place orders as easily as those in your neighborhood. 5. Continuous marketing – even after the completion of ad campaigns companies with one 800 vanity numbers continue to receive calls the 1-800 vanity number has become imprinted in the person’s mind. The definition of a vanity phone number is one in which you purchase an easily remembered sequence of numbers, or letters, spelling out a marketing message that is easy to remember. They are sometimes referred to as “phonewords”. The most successful of these include 1-800-FLOWERS, 1-800-TAXICAB. Thus they are alphanumeric telephone numbers. Sometimes all numeric numbers are used in vanity phone numbers. An example of all numeric phone number is the Super 8 Motel toll-free vanity number 1-800-800-8000, super easy to remember and contains a lot of 8’s which is in their brand-name. Other numbers such as radio station frequencies, TV station numbers, and numbers with meanings such as 24/7 – open 24 hours a day seven days a week.